Dandong (dān dōng 丹东), China's back door to North Korea and firstly known by the world for the war to resist US aggression and aid Korea, belongs to Liaoning Province marked by the Yalu River (yā lù jiāng 鸭绿江). It is the biggest and most beautiful border city in China, and it is also the only city in Asia which has boundary port, airport, railway, river port, seaport and highway. Dandong has been chosen as one of the ten most livable cities in China by South People Weekly in 2010. Benxi City (bēn xī shì 本溪市) is a famous steel city with abundant mineral resources, it is located in Liaoning Province of China, southeast of Shenyang (shěn yàng 沈阳). Mountainous region occupies 80% of Benxi. Besides the surrounding mountains, Taizi River (tài zǐ hé 太子河) flows through the city. To take an overlook, streets are crossed in mountains, buildings are constructed on the mounds and hills, city and mountains combines fine with each other which makes a unique townscape. 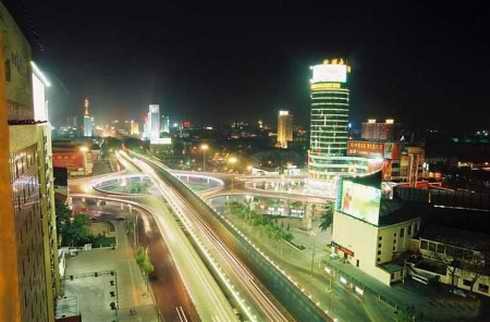 Shenyang (shěn yáng 沈阳), a city full of vitality. As the center of economy, culture, transportation and commerce of northeast China, Shenyang is the capital of Liaoning Province and the largest city in the northeast of China steeped in history. Shenyang is located at the center of the northeast Asian economic ring and Pohai economic ring, so it has important strategic status. 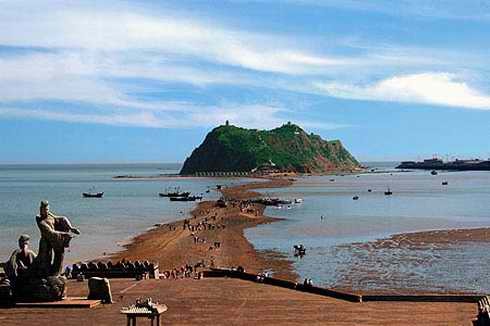 Bijia Mountain (bǐ jià shān 笔架山) Scenic Spot is located on the coast of the Pohai adjacent to Jinzhou Port (jīn zhōu gǎng 锦州港). Bijia Mountain Island and Tian Qiao (tiān qiáo 天桥) are the key scenic spots in the mountain resort. The total area of the spot is 8 square kilometers, among which the land area of the scenic spot is 4.72 square kilometers. The mountain has three peaks, one is higher and the others are lower, it gets the name for it shapes like a pen rack (in Chinese we call it bijia). Tian Qiao, the sky bridge, dodges in and out of the water as the tide changes, so the mountain is sometimes called Tianqiao Mountain (tiān qiáo shān 天桥山). Huludao (hú lú dǎo 葫芦岛), also called Jinxi (jǐn xī 锦西) in the past, is a very important city between Beijing and Shenyang. Huludao shapes as a gourd, in Chinese we call it Hulu, and so it gets the name Huludao. It neighbors Pohai in the south, Chaoyang (cháo yáng 朝阳) in the north, Jinzhou (jǐn zhōu 锦州) in the east and Shanhaikwan in the west which give the name of the first city outside the pass. 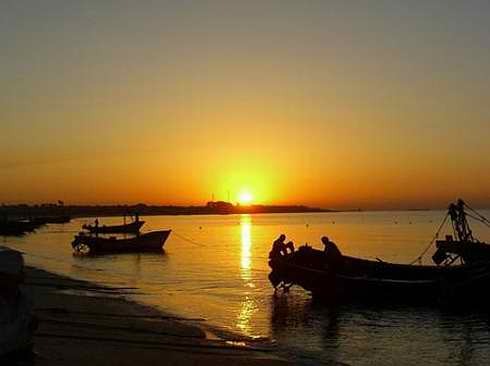 Excellent beach and sand make it enjoyable to come here in summer. Except the beautiful landscape, it has a lot of relics of different ages. People here are enthusiastic and kind, you will have a great time visiting here.